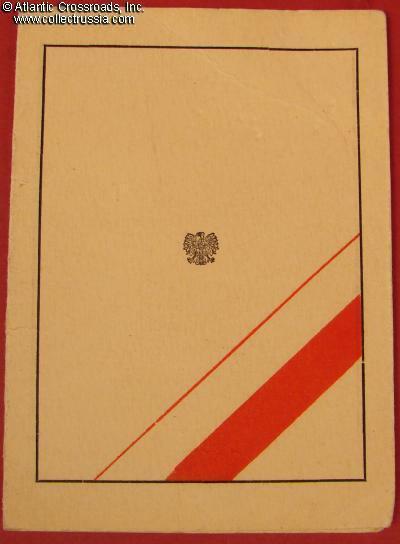 Document for a Medal for a Medal for 10th Anniversary of the Peoples Republic of Poland, issued on 17 January 1955 to Jaromir Ocheduszko. 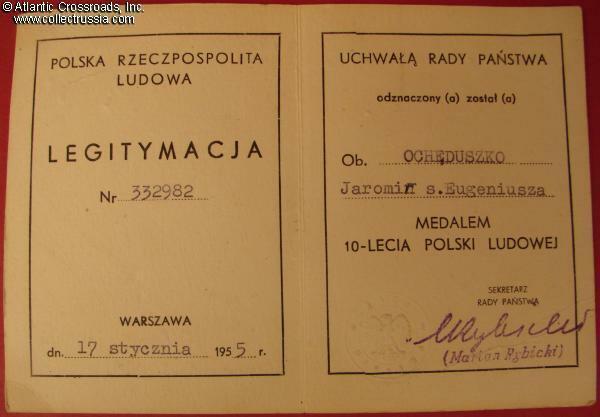 Document for a Medal for a Medal for 10th Anniversary of the Peoples Republic of Poland, issued on 17 January 1955 to Jaromir Ocheduszko. 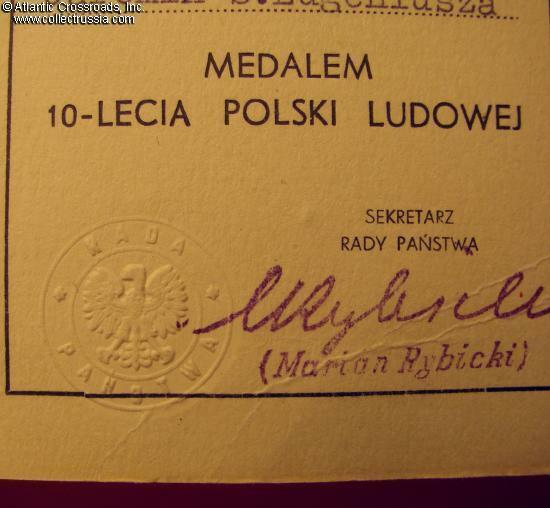 Shows impressed stamp and a signature of a local official. In excellent condition.